There is a universal assumption that lawyers charge too much for their services. To some extent this is a misnomer. I mean, some lawyers most certainly charge ‘too much’ for their services, but that doesn’t necessarily mean that all lawyers operate with an unscrupulous intent to part their clients unfairly from their hard-earned cash. Here are my top 8 reasons for why legal advice can be costly, along with a few other reasons that might indicate that you are paying more than you should your legal services. Law is a profession. As, such we are required to apply our understanding of the Law to your unique circumstances. No two matters are identical. While experience makes this easier, it highlights the reality that finding solutions for our clients requires considerable effort in terms of creative thinking. It doesn’t end here. As lawyers, we hold a significant burden of responsibility to our clients for the legal advice we proffer. Get it wrong and we are solely accountable. It is something that keeps us awake at night. Lawyers spend a long time at university to earn their degrees. Most of us graduate with, not only a degree, but with a considerable HELP debt. However, even post-graduation we face the harsh reality that this debt will continue to grow as we undertake extensive post-grad work which must occur before we can be admitted to the Bar and actually practice Law. However, admission to the Bar is only the beginning of our learning journey. Lawyers, like many other professionals, are legally required to learn continuously and annually attend an agreed number of conferences and approved activities. Learning is expensive and time consuming, but without it we are not equipped to provide our clients with the quality of advice they deserve. 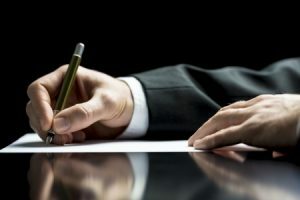 Quite often, and because all situations are unique, lawyers will need to spend time reading and researching precedents before they can devise a course of action that will enable them to confidently move forward with your matter. This can take time; many hours (sometimes days, weeks or months). Don’t be fooled into thinking that the only time we are working for you is when you are in our office. Lawyers only spend a fraction of their time consulting with clients and attending court. Most our time is spend researching our caseloads and preparing documents to suit the unique circumstances of our very unique clients. Lawyers, are no different to anyone in service-driven industries. We have expenses. From rent, utility bills, photocopying, filing and storage, computers, industry specific software and the payment of paralegal support staff. It all costs money and every bit of this eats into our profit margin. That said, it is important to remember that having an effective infrastructure is a responsible way that we can deliver services efficiently. While many of these expenses are hidden from view, a few of them are glaringly obvious. Extravagantly appointed offices situated in the heart of the CBD are expensive. You do realise that those gourmet cookies and latte you were offered upon arrival were paid for in your fees? Oh, and the granite foyer; yep, you are paying for that too. When you get your invoice, it is important to appreciate that we are not in control of all of the fees you are issued with. Some of these fees are beyond our control. These may include filing and application fees from various government departments (Family Court or Probate Office), taxes, levies and adjustments (that arise through property transfers), fees for reports from other non-legal professionals (Forensic Accountants or Medical specialists), or fees from other consulting legal professionals (Barristers). Believe me when I say that nothing makes me angrier than when our clients suffer beneath, yet another, increase to government application and filing fees. It is something we lawyers speak very loudly against. It pains me to say this but not all lawyers are good at what they do. Like all professions, we have good and average people in the job. Some are downright incompetent. Occasionally, clients have had the misfortune to come across a lawyer who not only botches up their matter but they overcharge them for their services in the process. This happens when a solicitor agrees to undertake a matter for which they lack the knowledge and experience. The best way to avoid this is to do your research first and identify a practitioner who has expertise in the area of law you require. Furthermore, if you feel that you have fallen victim to the incompetence of a lawyer seek a second opinion or consult the Law Society in your State. Much of the work that lawyers do revolves around our desire to negate risk. In other words, we work hard to predict possible outcomes to ensure that you are protected if the worst happens. Unfortunately, while we can identify and protect you from many risks, it is important to appreciate that unexpected circumstances often arise and will require immediate attendance. This can lead to a need to provide services that we had not originally anticipated (from your original consult). While you have the right to ask for a fee estimation prior to lawyer undertaking your matter, accuracy in this is dependent upon the information you provide us with. Furthermore, please remember, we read the law not tarot cards. It happens a lot in Family Law, but it also occurs in other areas of Law. Occasionally you get a client who will refuse to concede anything. It becomes all about the fight, with the client willing to spend thousands in legal fees to win ‘the battle of a toaster’. Trust me, sometimes it is better to put your ego aside and concede a bit. You may not have won the battle but you will, at the very least, be in a position to move forward in your life without being crippled with legal fees. In South Australia there is a scale set by the Supreme Court every year which states the fees that lawyers can charge. Currently this is $370 per hour. Some lawyers will elect to charge more than this. They are permitted to do this but they have to tell you. Of course, someone else may charge below the scale. Naturally, as with most things you do get what you pay for and sometimes, paying a little extra per hour to have an experienced solicitor manage your file can work out cheaper in the long run because they work more efficiently. A word of caution, don’t assume that just because someone is charging above the scale that they are the best lawyer for your matter. This needs to be something you determined through independent research. Finally, while legal fees seem expensive, remember that this is because (aside from Legal aid which is only accessible by a small number of people), unlike other professionals, we do not receive any rebates or government benefits to assist the public with legal issues. Without Medicare or private health insurance the ‘true-cost’ of medicine, treatments and medical care would be staggering. This is a reality that many people forget when comparing legal fees with the costs of those in the medical profession. We live in a society where we are accustomed to being bulk-billed for services or paying a small gap payment. Alas, in Law there is No gap! That said I still believe that for the service that lawyers provide, the quality of the advice that is given and the accountability we hold, our clients get quite a lot for their money.